International Cricket Council (ICC) has issued the Pakistani cricket team tour schedule for year 2021. 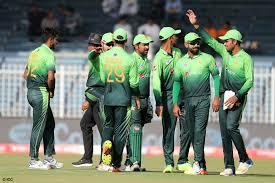 Pakistani cricket team will host the tour of South Africa in January and February in which two test matches and 3 T20i matches will be played. Pakistani team will tour to Zimbabwe in April to play two test matches and 3 T20i matches. ICC world T20 2021 will be played during October – November and Pakistan will play the matches against all international teams in this mega event. During 2021, Pakistani cricket team will play total 9 test matches, 12 ODIs and 21 T20I matches. Pakistan will play three home series including series against South Africa, New Zealand and West Indies. Pakistan will play three away series against Zimbabwe, England, West Indies, Afghanistan and Bangladesh.